No measuring and no weighing. No mixing and no stirring. 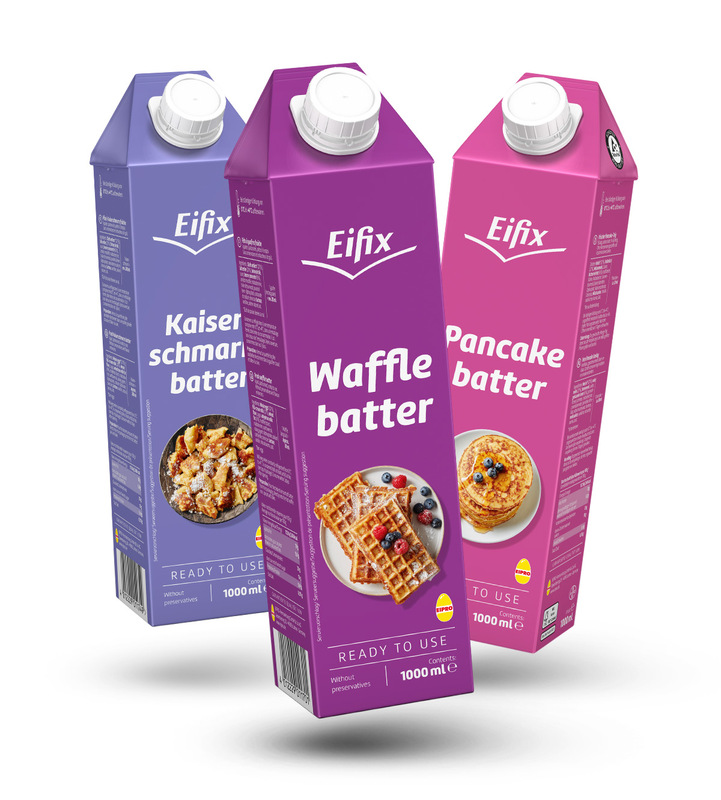 Waffles, pancakes and Kaiserschmarrn can be made in no time at all with Eifix Fresh Doughs: simply, quickly and always. And without any rest periods at all. The dough is ready and can be placed directly on the hot waffle iron or in the pan. Ready to use, pasteurised, liquid and securely packed in a Tetra Brik pack. Simple handling - no measuring, no weighing, no mixing, no stirring, no resting time required for the batter. 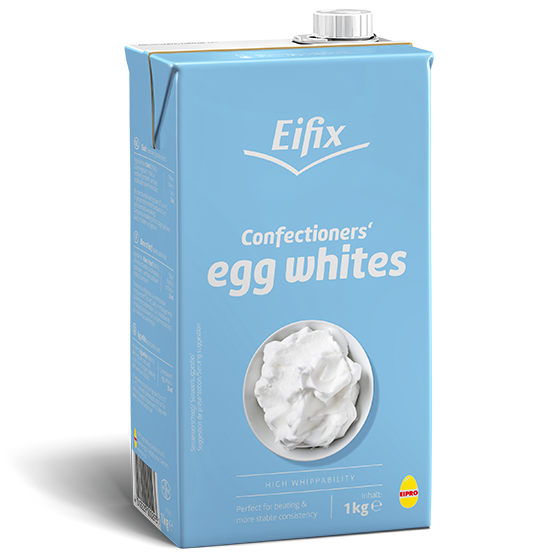 EIFIX Fresh Batters are produced using barn eggs. Particularly beatable egg white in a practical Tetra Brik for failproof and stable foams with high volume. 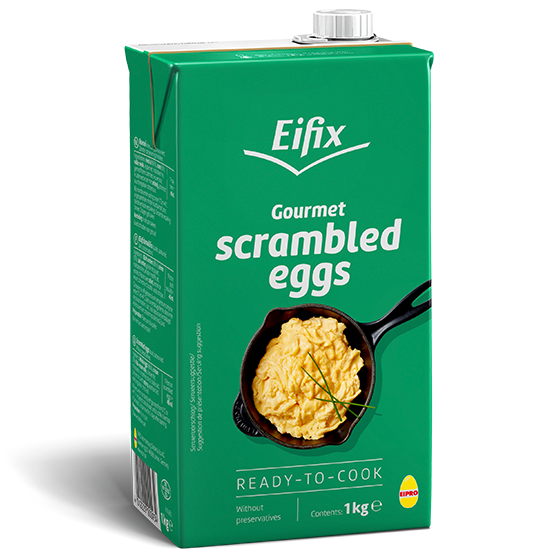 Fast, easy and safe - Eifix gourmet scrambled eggs with choice ingredients is our guarantor of quality for a delicious breakfast.